The Arcade back to wall bidet has a unique Belle Époque appearance - designed to bridge the gap between today’s modern minimalist, and yesterday’s period, pieces The Arcade Single Lever Bidet Mixer with Pop Up Waste has a unique Belle Époque appearance - designed to bridge the gap between today’s modern minimalist, and yesterday’s period, pieces The Britton Fine S40 Back to Wall Bidet from Britton offers exquisitely crafted ceramic pieces with ultra slim edges to create a unique designer feel. 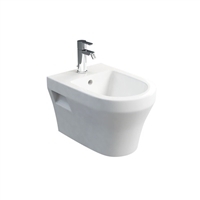 The Britton Fine S40 Wall Hung Bidet from Britton offers exquisitely crafted ceramic pieces with ultra slim edges to create a unique designer feel. 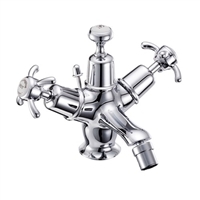 The Burlington Kensington Bidet Mixer with Low Central Indice with Pop Up Waste has a traditional appearance, lovingly crafted and hand finished with exceptional care using the finest materials and manufacturing processes. The Burlington Kensington Bidet Mixer with High Central Indice with Pop Up Waste has a traditional appearance, lovingly crafted and hand finished with exceptional care using the finest materials and manufacturing processes. 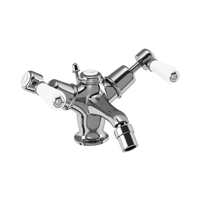 The Burlington Birkenhead Bidet Mixer with Low Central Indice with Pop Up Waste has a traditional appearance, lovingly crafted and hand finished with exceptional care using the finest materials and manufacturing processes. The Burlington Birkenhead Bidet Mixer with High Central Indice with Pop Up Waste has a traditional appearance, lovingly crafted and hand finished with exceptional care using the finest materials and manufacturing processes. The Burlington Anglesey Bidet Mixer with Low Central Indice with Pop Up Waste has a traditional appearance, lovingly crafted and hand finished with exceptional care using the finest materials and manufacturing processes. 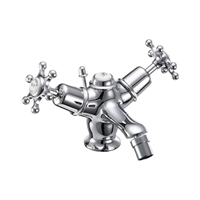 The Burlington Anglesey Bidet Mixer with High Central Indice with Pop Up Waste has a traditional appearance, lovingly crafted and hand finished with exceptional care using the finest materials and manufacturing processes. 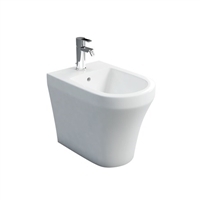 The Burlington Claremont Bidet Mixer with Low Central Indice with Pop Up Waste has a traditional appearance, lovingly crafted and hand finished with exceptional care using the finest materials and manufacturing processes. 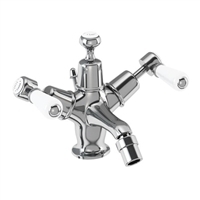 The Burlington Claremont Bidet Mixer with High Central Indice with Pop Up Waste has a traditional appearance, lovingly crafted and hand finished with exceptional care using the finest materials and manufacturing processes. The Burlington Wall Hung Bidet has a traditional appearance, lovingly crafted and hand finished with exceptional care using the finest materials and manufacturing processes. The Burlington Bidet has a traditional appearance, lovingly crafted and hand finished with exceptional care using the finest materials and manufacturing processes. The Chelsea Curved Bidet Mixer with Pop Up Waste has a traditional appearance, lovingly crafted and hand finished with exceptional care using the finest materials and manufacturing processes. 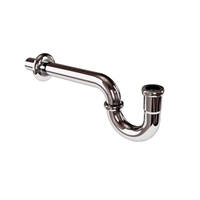 The Burlington Bidet Trap has a traditional appearance, lovingly crafted and hand finished with exceptional care using the finest materials and manufacturing processes.